Welcome to this month’s Blogorail Orange Loop. Today we are sharing ways to splurge on your next Disney trip that won’t break the bank. If you’re like me, you take an extra suitcase with you on your Disney vacations just to carry all of the merchandise you buy back home. Yes, I’m that addicted to Disney swag! At one time I had over 5,000 individual pieces of Disneyana. I went through a purge to fine tune my collection, making room for better additions. For about $20.00 or less, you can buy something that you can use throughout your Disney vacation. Like the pair of Mickey Ears our handsome model is wearing above! I won these Ears during the Year of a Million Dreams, but even if I’d had to pay for them, it would have been a reasonable expenditure. 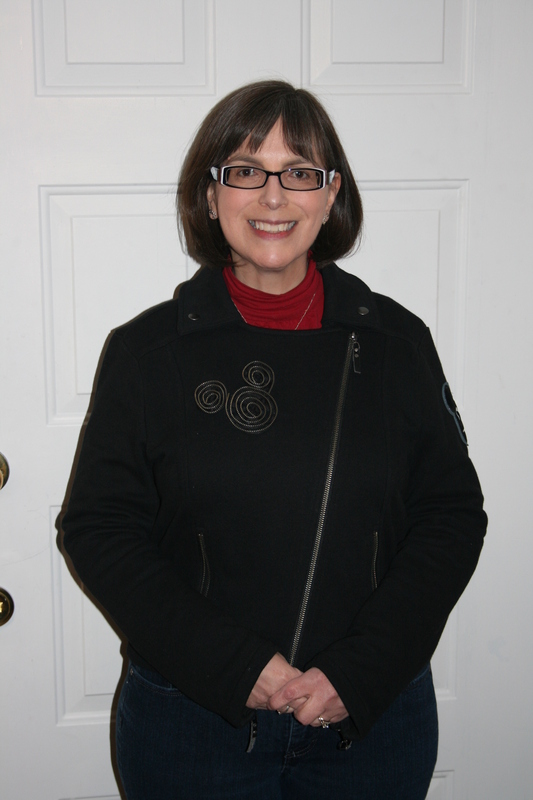 After all, I got to wear them often and can wear them again during subsequent visits. You can also buy light toys, water fans, resort mugs, and the like. We attended the Epcot Flower and Garden Festival for the first time in 2010 and picked up two Trading Pins to commemorate the event. At under $10.00 each, it was an inexpensive way to remember the experience. But you could justify spending a bit more for one special piece of merchandise, like the Mickey Garden Gnome above. After all, you can only get a product like this at the Festival (initially) and it will last for years to come! 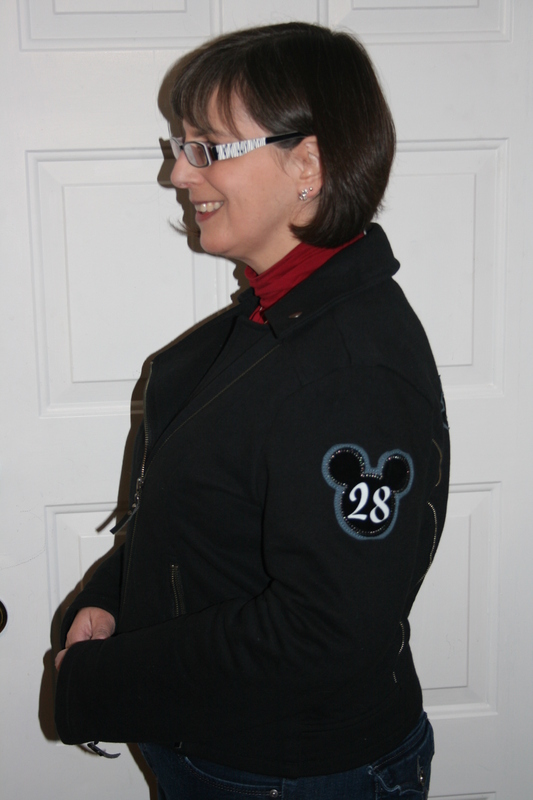 Our lovely model, Karen, is wearing a beautiful Mickey Jacket. This was under $100.00 (as it was on sale) and has gotten much use since it was bought on one of our Disney trips. A splurge like this becomes that extra special memory that can be revisited each and every time it is worn, years after that impulse buy! You may prefer a Big Fig or some other article of clothing, like a jacket or hoody. Or perhaps it’s an expensive piece of jewellery? No matter the product, it can be a justifiable splurge, if… the price-to-joy ratio is right! So do you splurge on Disney swag? What do you consider to be a reasonable splurge? 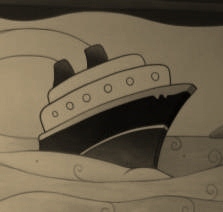 For more information on Reasonable Disney Trip Splurges, check out the other great posts from the Blogorail! 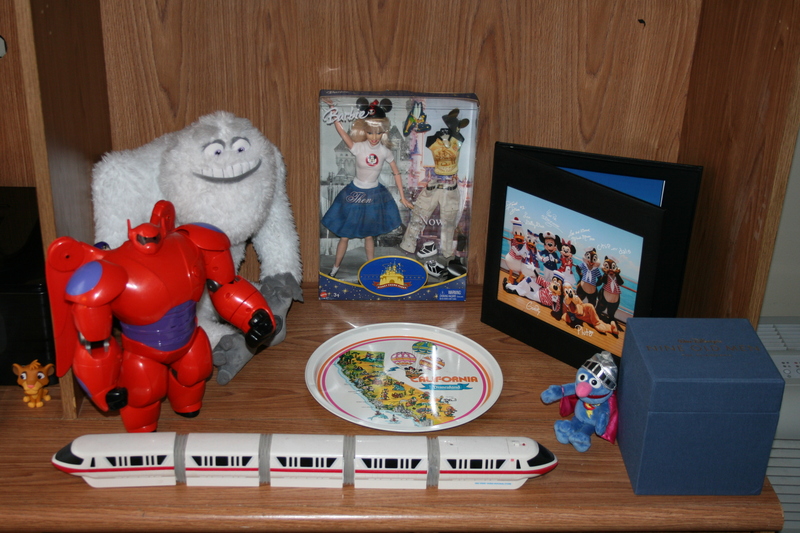 This entry was posted in Magical Blogorail, Merchandise and tagged Clothing, Disneyland, Epcot International Flower and Garden Festival, Lists, Magical Blogorail, Merchandise, Mickey Ears, Mickey Garden Gnome, Trading Pins, Walt Disney World, Year of a Million Dreams. Bookmark the permalink. 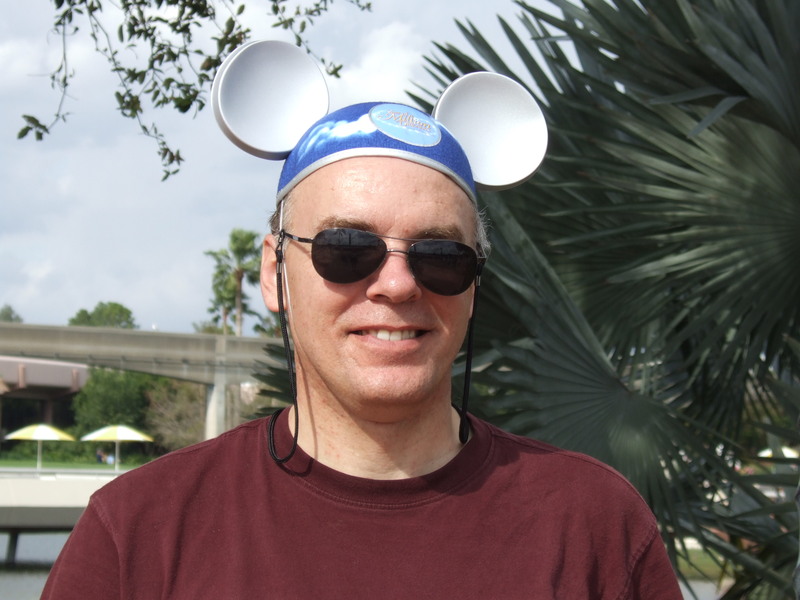 We buy Mickey ears for our son every trip, and often for me as well. It’s a weakness. Connor also collects pins and I personally have a weakness for travel tumblers! Lee – I have a confession. One – I have that Mickey gnome. and Two – my husband and I will actually schedule trips on the last weekend of Flower and Garden and Food and Wine to hit the festival center to swag at 50% off. Sad, but true. I love shopping at Disney and usually come home with a few mementos. Having kids, we’ve had to limit our personal purchases to budget for theirs. We now buy collectibles, jewelry or items we know we can use again on our next trip. It is wise to set limits! I just spend until I run out of money and then that becomes my limit! But that’s just me. Yes, I love Disney swag! We can’t help but make purchases on our trips. We usually give each child a gift card so they know exactly how much money they can spend. It works out well. 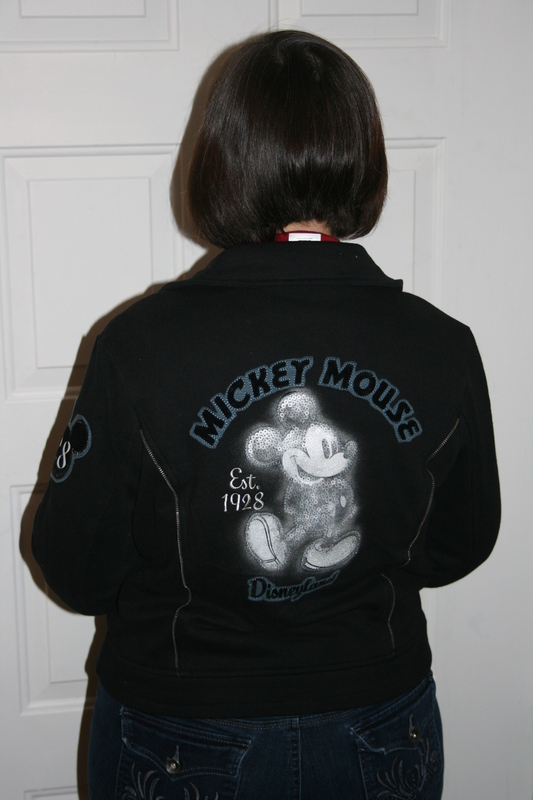 Of course, we frequent the Disney store as often as possible too – and we cannot help but shop the clearance racks. We always stock up on goodies there! Yes, I’ve found Disneyland and WDW swag at Disney Stores too. But not all of the locations have it. Pity! I remember when I won those ears during the Year of a Million Dreams. I was hoping for the Cinderella Castle Suite, but I took the ears as a consolation price. 🙂 My husband would have every big fig imaginable if I let him – instead we buy lots and lots of clothes. Hats, shirts, ears, towels, etc. Now that we are traveling +1 baby, I am going to have to bring two extra suitcases! All in all, souvenirs are great mementos! A night in the dream suite would have been a great memory/prize, but we didn’t win that either! Sounds like you’re as addicted to Disney swag as I am! Let’s hope no one does an intervention!